A Stroke of Hard Luck? The brief 2 game homestand started off with a visit from the Whale, turning this game into a Devils-Rangers lite matchup. 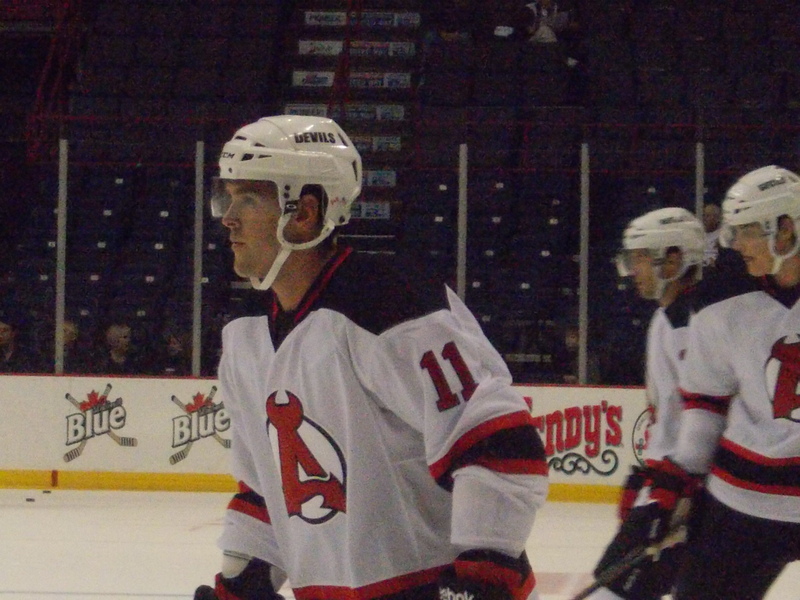 The early story was a Devil 4 minute power play just 38 seconds into the game when Whale leading scorer Kris Newbury was called for a cross check, then said the magic words and ended up with an additional unsportsmanlike, 10 minute misconduct…and a seat warming the bench for the remainder of the game. Unfortunately, the Devils could only muster 3 shots on goal over the 4 minutes. 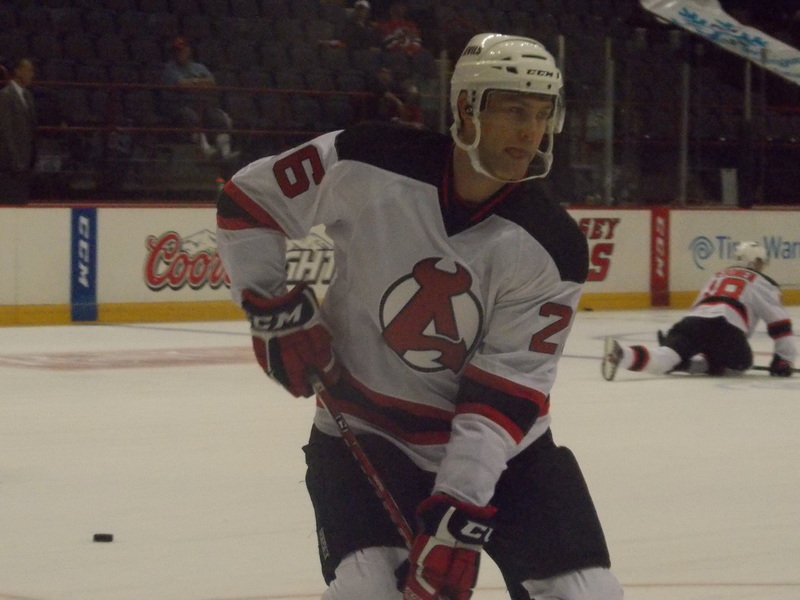 Mike Hoeffel got the Devils on the board late in the first with his second goal of the season. Keith Kinkaid, meanwhile, held his own and then some during this period, stopping all 10 Whale shots, some acrobatically. Second period…a different story. Brandon Segal and J.T. Miller scored just 61 seconds apart to tie then take the lead for Connecticut. It then became a 3-1 lead after a turnover by Raman Hrabarenka gave Tommy Grant an easy score. Third period the Devils may have outshot the Whale 12-5, but Connecticut made the shots count. Andrew Yogan broke up the Devils perfect PK string with a power play goal midway through for a 4-1 lead, prompting the Let’s Go Rangers chants from several people in attendance with Blueshirts on (sorry you’re not in MSG…take it back to the city!). Kyle Jean made it a 5-1 lead less than 3 minutes later (and yet another Let’s Go Rangers chant…so confused, those people were). But the Devils weren’t quite done just yet. On a late power play, Jacob Josefson scored his 3rd goal of the season to cut the deficit to 5-2. But that was it, as Connecticut won its first game of the young season, while Albany dropped its 3rd straight on home ice. Kinkaid finished with 21 saves, while 4 players each contributed one assist. 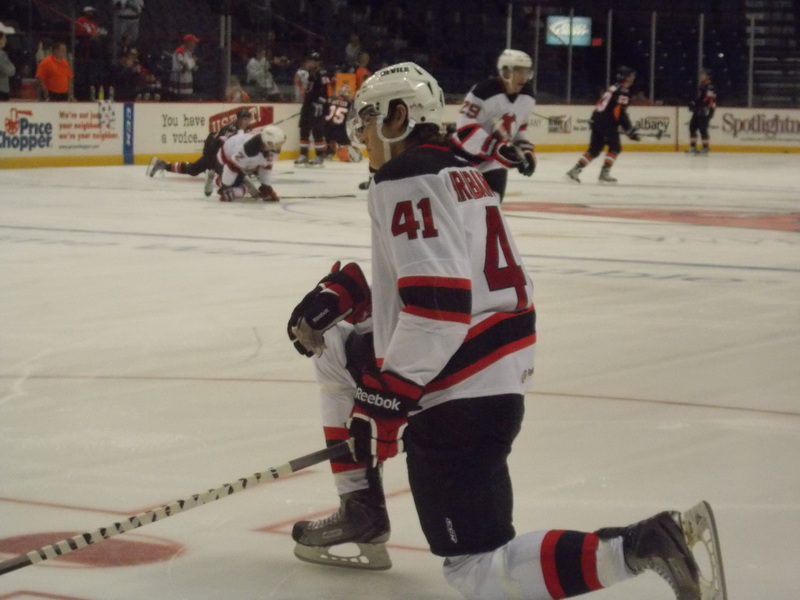 Friday night kicked off the 4th annual Time Warner Cable Cup series, as the Devils hosted their neighbors to the north, the Phantoms. And this one was clearly no contest. Jacob Josefson scored on Albany’s first shot on goal of the game 4 minutes in, and it was off and running from there. The Devils took the game’s first 10 shots on goal…Adirondack didn’t even register their first shot till 11 and a half minutes into the period. Matt Anderson padded the lead with his first goal of the season with about 4 minutes remaining in the first. Then the Phantoms finally got on the board late in probably the least likely way possible…a penalty shot goal, by none other than Zac Rinaldo (Dan Kelly had apparently hooked him on a breakaway). 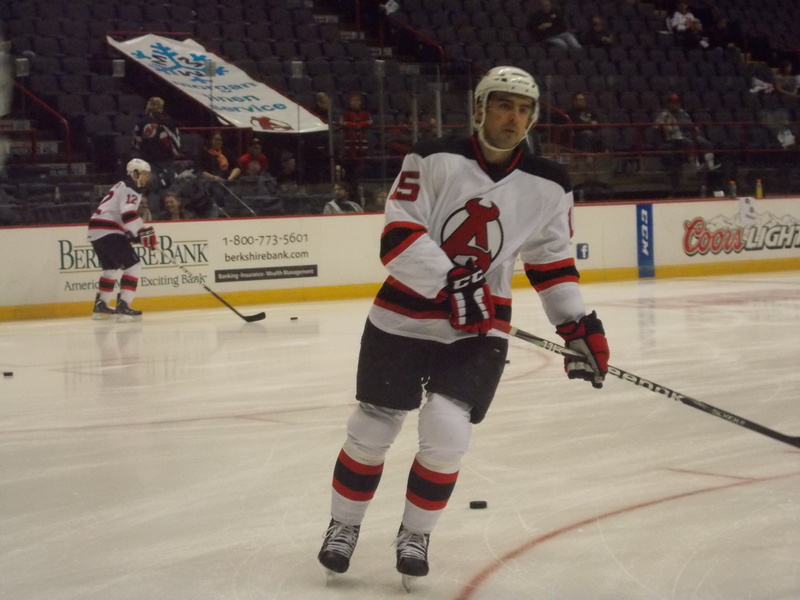 Eight minutes into the second period, it was the Devils turn at getting a penalty shot, after Marc Andre Bourdon took down Adam Henrique in a similar fashion. 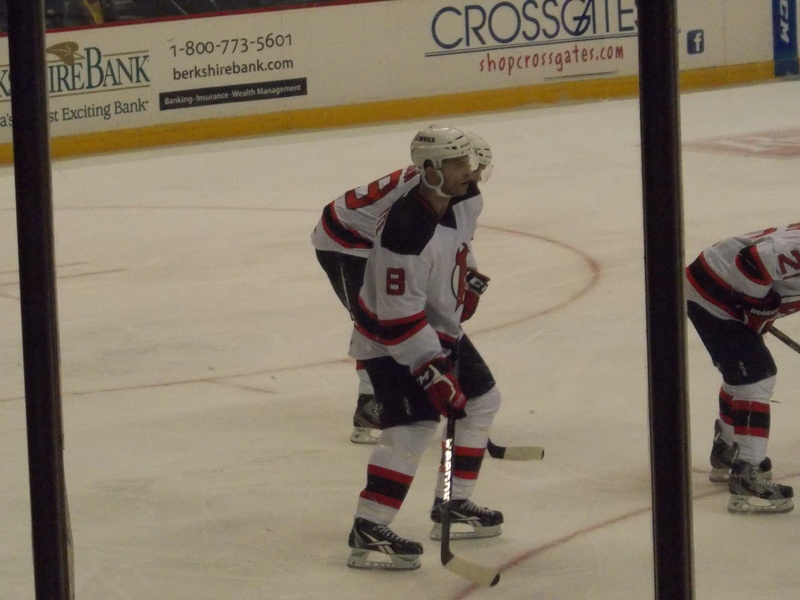 Naturally Henrique was successful in getting the goal, making it a 3-1 Devil advantage. 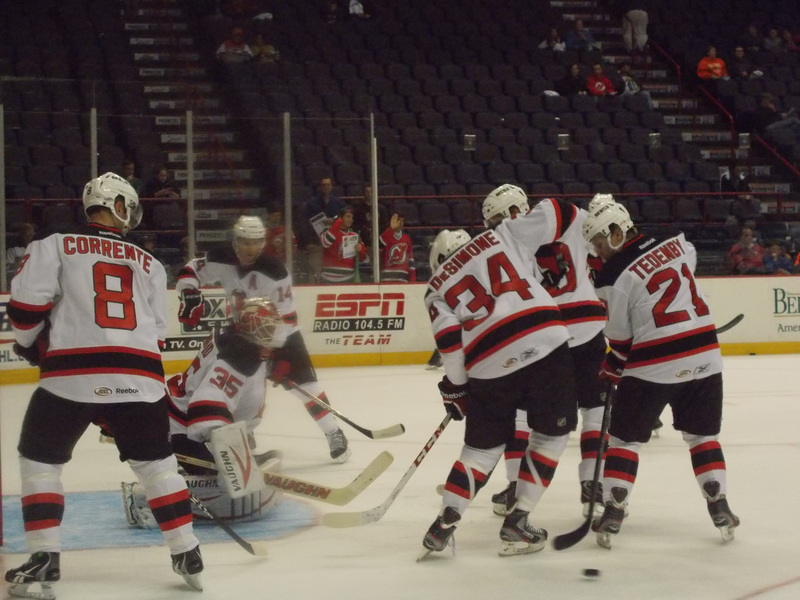 It was the first time since 1996 that an AHL game featured two successful penalty shot goals. 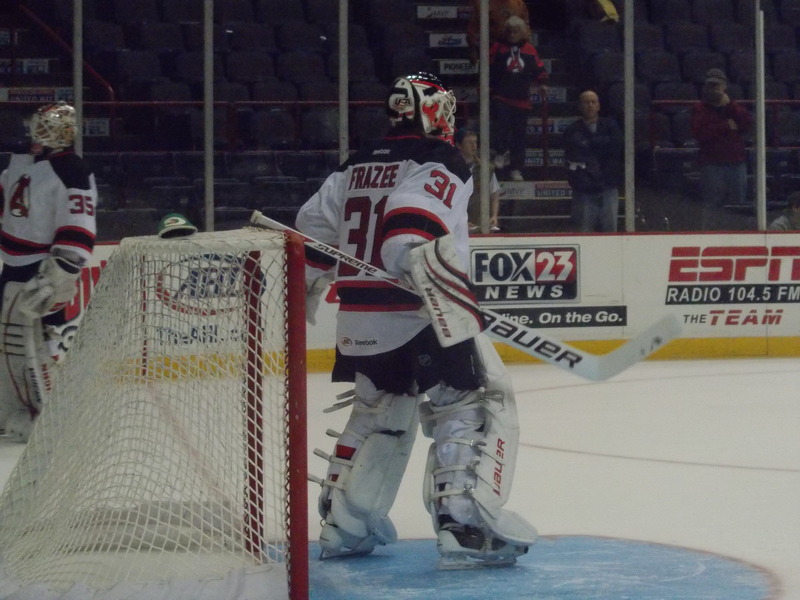 The Phantoms did catch up in the shot department, matching 11 shots, but Jeff Frazee stopped them all. Third period, more of the same from the home team, as Phil DeSimone and Darcy Zajac each added their first goals of the season to seal the win. Frazee had an outstanding night in goal, only letting Rinaldo’s penalty shot get by him as he registered 23 saves and earned #3 star honors. 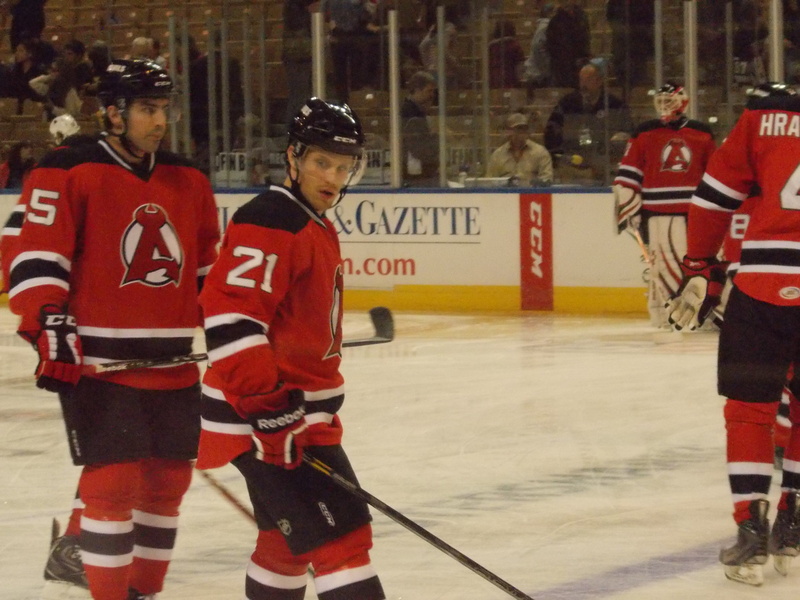 Adam Larsson also contributed two assists. The other big story? Not counting the two penalty shots, only two penalties called. All night. And Chris Brown was the referee. I almost thought Jeff Smith was there in disguise for a while there. To finish out the week, the Devils traveled south to Hershey to take on the Bears. The home team got things started with a Zach Hamill goal late in the first for a 1-0 advantage. Chances for both teams were pretty even as both had 7 shots apiece. The Devils tried in vain to get on the board in the second, but Braden Holtby was stopping everything in his path. Penalties became an issue again for Albany, as the Bears took a 2-0 lead while David Wohlberg was sitting on a roughing call. The goal actually went in and out so fast, it went up for video review, the first one I’ve seen so far. Referee Darcy Burchell did rule it a good goal. Although the scoring chances weren’t going in, the Devils special teams did step up after that, killing off a 1:15 5 on 3 just after the second Bears goal. Third period, more Devil shots on goal, but Holtby wasn’t letting anything get by him. 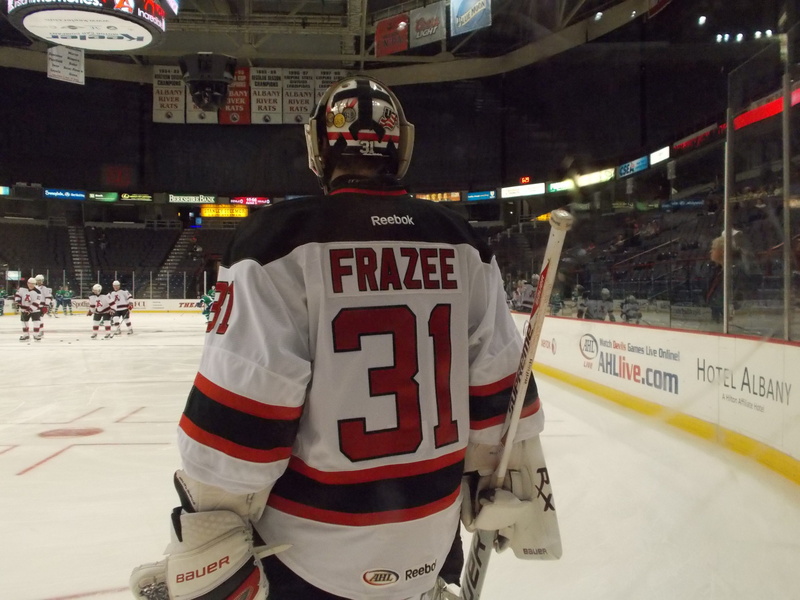 He stopped all 35 Devil shots in getting his first shutout of the season (and the first Devil shutout loss). Tomas Kundratek scored an empty netter with 2 minutes remaining to seal the win. Lost in all this was Keith Kinkaid, who once again became the victim of poor offensive support, stopping 19 shots in the loss. He had quite a few acrobatic saves of his own, which kept the game close. -Two player transactions this week, to help with the logjam of scratches: Harry Young and Chris McKelvie were reassigned to Trenton earlier this week, joining Scott Wedgewood, Eric Baier, Alexandre Carrier, and Bryan Haczyk. -Injury update: Alexander Urbom sat out the week after taking the sucker punch to the face last weekend in Worcester, he remains day to day. Eric Gelinas and Kelly Zajac have yet to arrive here from New Jersey where they stayed to rehab, so still waiting on an update on how long they’ll remain out. Two games this week, all against divisional opponents, all rematches from the week gone by. 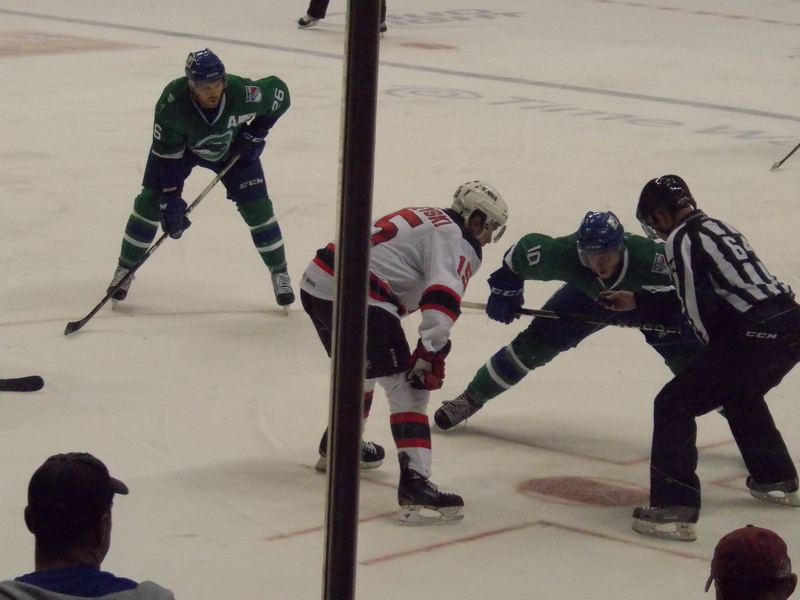 Friday night the Devils look to redeem themselves at home against the Whale. Saturday they head up the Northway for the first of 6 visits to the lovely Glens Falls Civic Center to take on the Phantoms, in Game 2 of the Time Warner Cable Cup series. Hopefully the momentum continues to build…and more offense, too! *Note: I will be moving to a new house this week, but since Time Warner will have my internet and everything in place on moving day, I do not foresee any interruption as far as updates go. If there is a blog schedule change I’ll put it out via Twitter and the Facebook page (if you haven’t visited yet, please do and give it a Like. Still a work in progress.). Author icepuddlePosted on October 28, 2012 October 28, 2012 Tags ECHL, Game Recap, news and notesLeave a comment on A Stroke of Hard Luck? Location: Giant Center, Hershey, PA.
2 players tied at 6 points each. 4 players tied with 2 points each. 6 players tied with 2 points each. Season Series:First meeting. Future matchups: November 2nd at Albany; December 9th, December 14th and February 5th at Connecticut; April 19th at Albany. 3 players tied with 2 points each. The weekend slate began with the first of 8 matchups against the new look Crunch. Things looked up very early in, as Mike Hoeffel scored his first of the season just 58 seconds in for a quick 1-0 lead. But then the special teams problems started up yet again, as on the first penalty kill of the game Tyler Johnson scored to tie things up at 1. But the home team finished the period strong as Mattias Tedenby scored his first on a beautiful play with Tim Sestito to regain the lead. Second period we were reminded on just what a Tampa Bay farm team can do, whether it’s in a Norfolk uniform or a Syracuse one. The second penalty kill yielded the same result, just 13 seconds in J.T. Brown tied the game at 2 apiece. 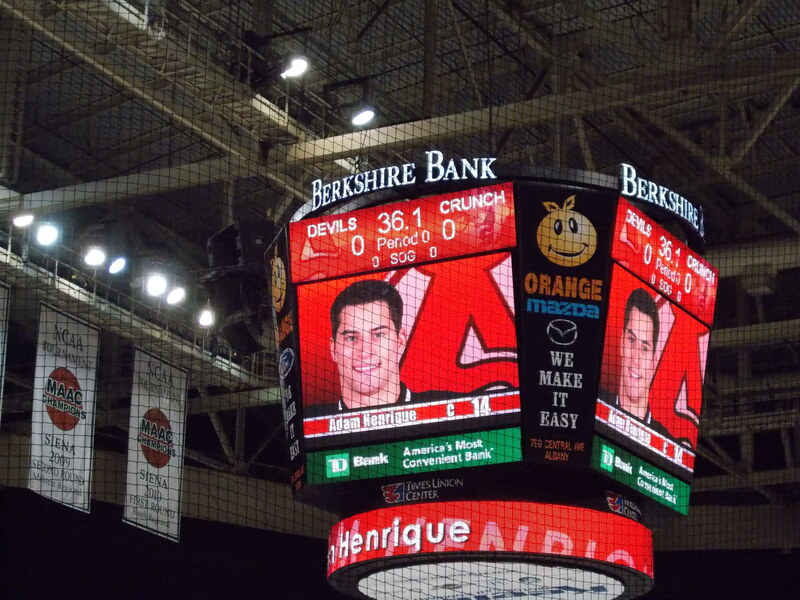 Then six minutes later former River Rat and now Captain Crunch Mike Angelidis gave Syracuse a 3-2 lead (and to add insult he took on Darcy Zajac after a faceoff 3 minutes later and got the decision). Third period the Devils tried to tie things up, but nothing was getting past Crunch goaltender Dustin Tokarski, as he stopped all 11 shots. But special teams showed a little improvement, going a perfect 2 for 2 on the penalty kill after the 2nd Crunch goal. The power play, another story: 0 for 5. Despite the loss, Jeff Frazee did well in net, stopping 20 of 23 shots, while Jacob Josefson and Tim Sestito each contributed an assist. 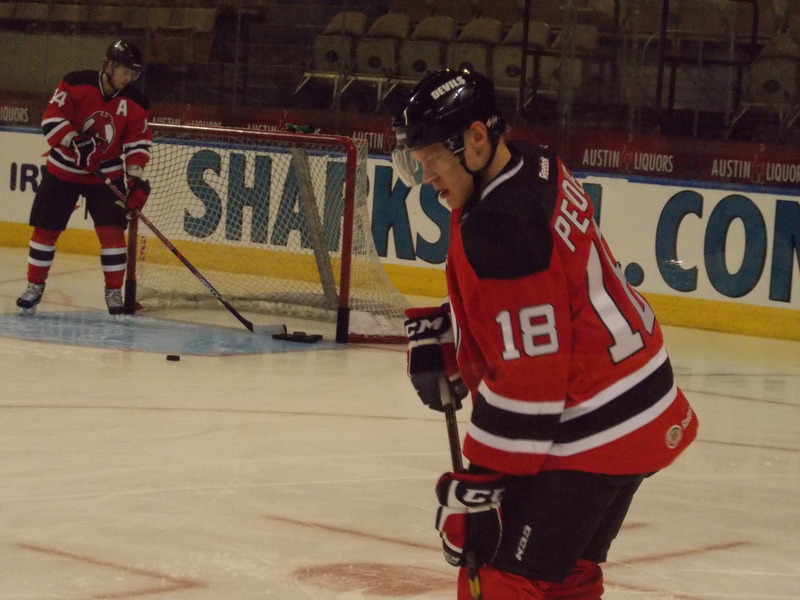 Saturday night the Devils took to the road for their first away contest of the season, making their only trip to central Massachusetts to face off against the Sharks, in their first home contest after three straight road losses to start the year. I’m not sure what happened overnight or on the bus, but suddenly there was a whole new Devils team that showed up to play. After killing off an early penalty, Adam Henrique finally broke through and scored his first of the season on a delayed penalty call for a 1-0 advantage. 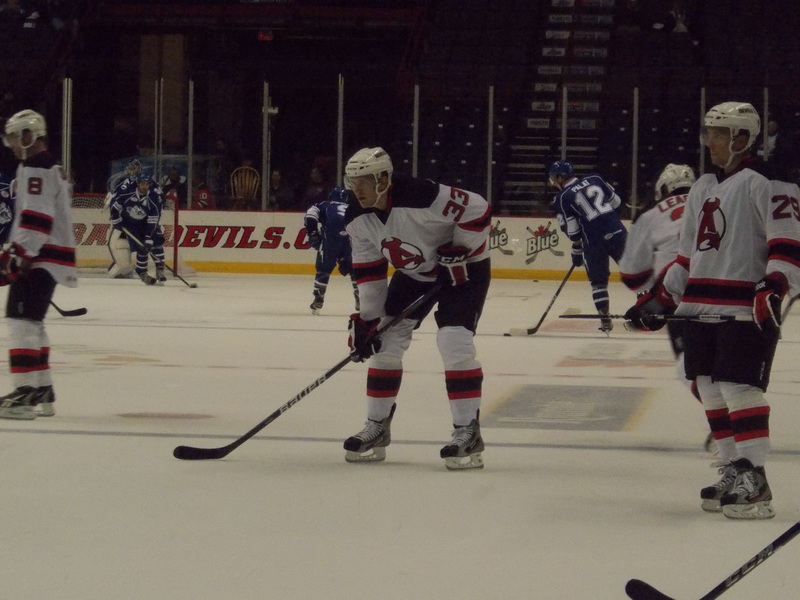 About six minutes later, the power play finally clicked and Harri Pesonen scored his first Devil goal to make it 2-0. Second period things got better, as the penalty kill went 4 for 4 and Jacob Josefson scored his first of the season for a 3-0 Devil lead. 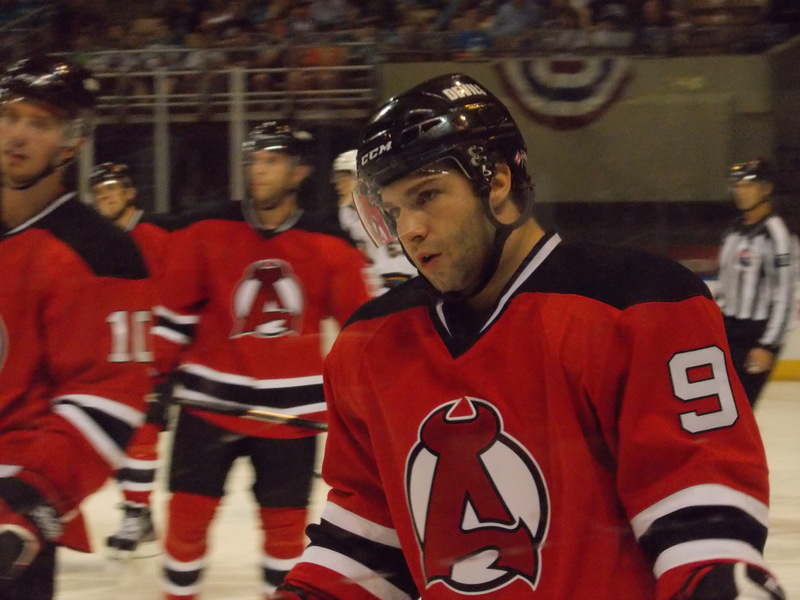 Then for good measure Josefson added a shorthanded goal early in the third for a commanding 4-0 Devil lead. Things got very chippy after that, where we saw Tim Sestito get crushed/held down by defenseman Nick Petrecki and Alexander Urbom get inexplicably sucker punched by Brandon Mashinter in the same sequence. Then after a Shark boarded Joe Whitney and captain Jay Leach went to intervene, Matt Pelech leaves the bench and the two exchanged punches. Lost in all this was Keith Kinkaid, who was absolutely brilliant in stopping all 30 Shark shots en route to his first shutout of the season…and more importantly the first win of the season. Adam Larsson contributed 2 assists, while Pesonen, Joe Whitney, Bobby Butler, Tim Sestito, and Matt Anderson each contributed 1 assist. After a relatively light first two weeks, business picks up with three games on tap this week. 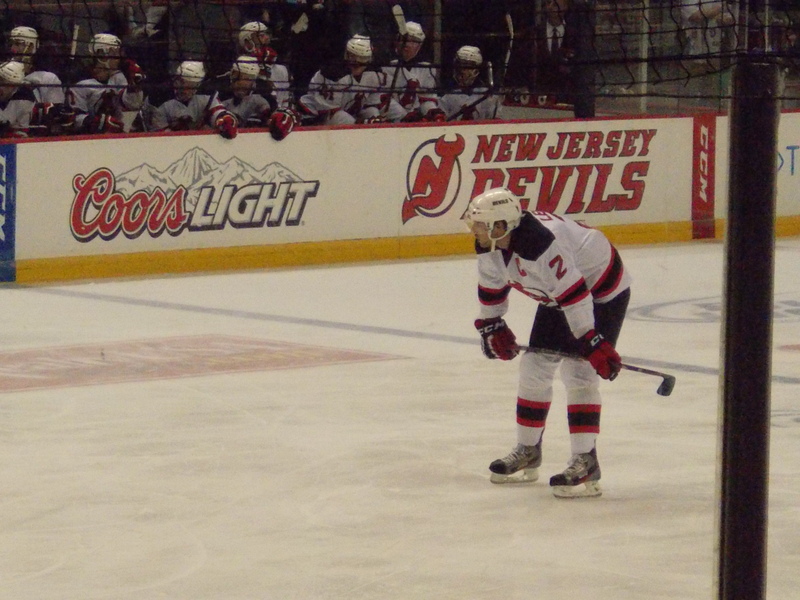 Wednesday night the Devils host Connecticut for the first of 6 matchups. Friday night the 4th installment of the Time Warner Cable Cup begins as they host Adirondack. Then Saturday it’s back on the bus as they head south to Hershey to take on the Bears. With two divisional rivals and a very tough opponent awaiting, this will be a good early test to see if what we saw in Worcester is real or just a lucky night. 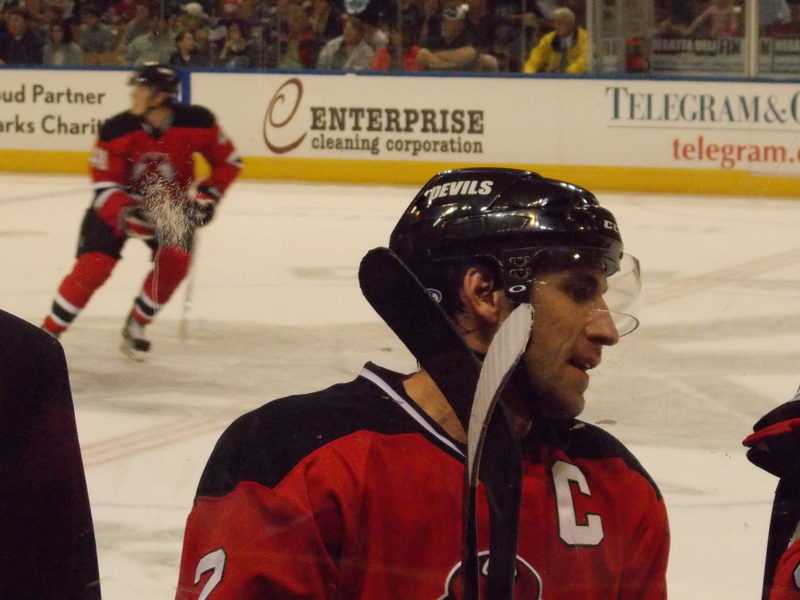 Author icepuddlePosted on October 21, 2012 Tags Game Recap, Road TripLeave a comment on A Step in the Right Direction?